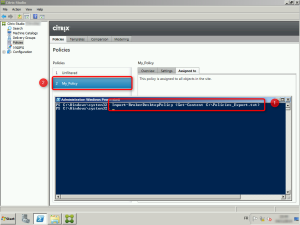 If for some reason you need to save all the Citrix polices of your new XenApp or XenDesktop Site quickly, you can do it thanks to PowerShell with the 2 following commands. Adapt the path and filename as you like. 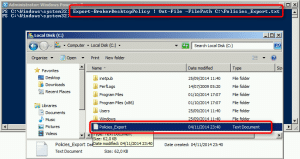 The policy file will be a binary file (so it won’t be human readable). 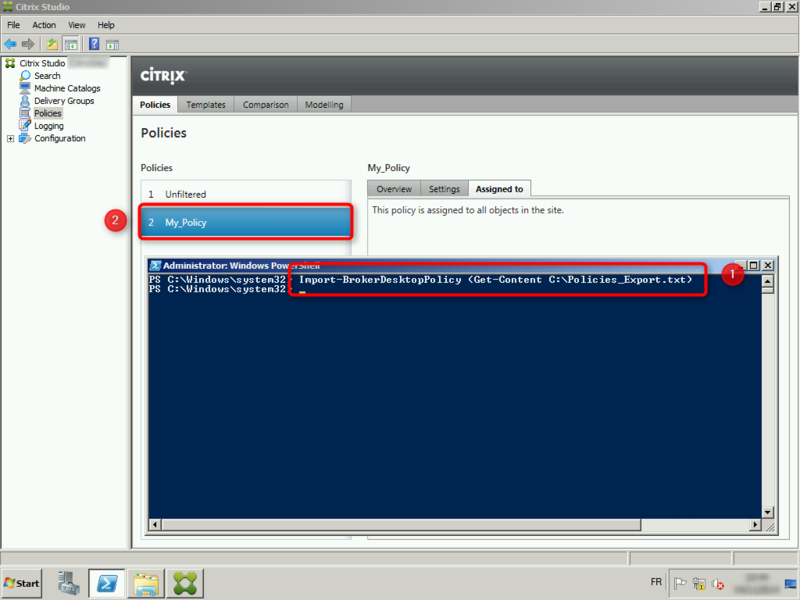 Also note, that the name and the description of your policy settings will also be copied. Depanding on your configuration or project, you may want to change this. 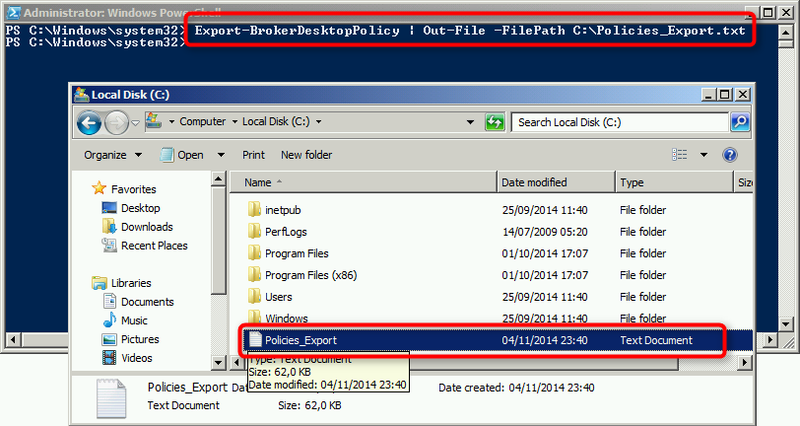 To do so, just double-click on the newly imported policy to modify name and description. 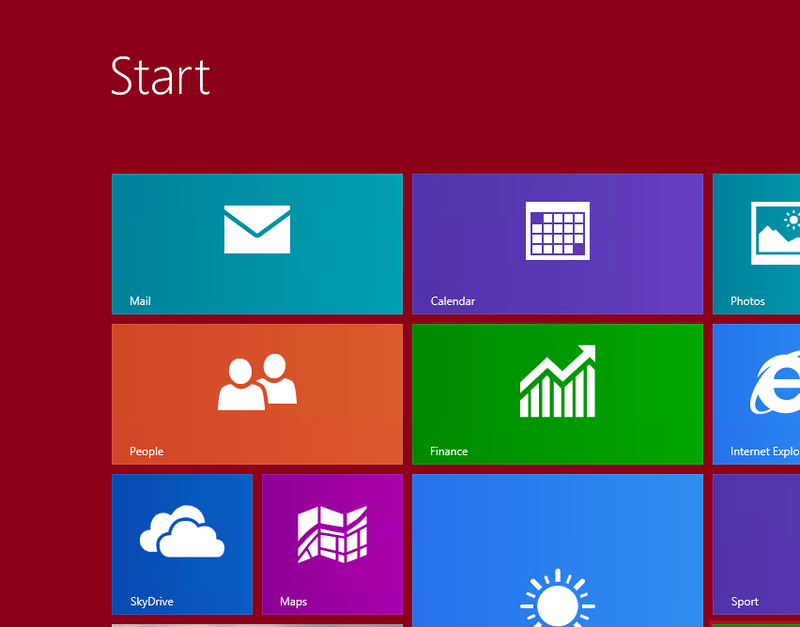 Compatible with XenApp and XenDesktop 7+.